Electric wine bottle opener removes cork quickly with a simple push of a button. Features twist grip mechanism with clear viewing area. Runs off 4 AA batteries (not included). The Snello by Southern Homewares brand Electric Wine Bottle Opener is the perfect tool to help you effortlessly get your evening started off right. 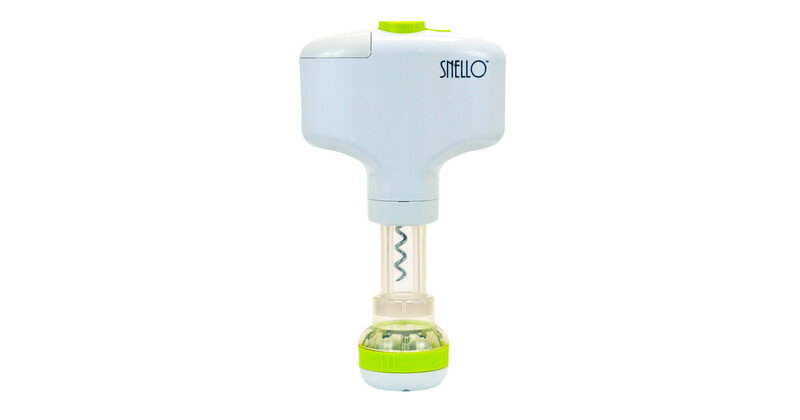 Featuring simple push button controls, Snello allows for easy cork removal from any favored wine of choice. Designed to fit all traditional wine bottles, this is the perfect cordless electric corkscrew for any home or kitchen. It runs off 4 AA batteries (not included) so there is no need to worry about an expensive internal rechargeable battery that can't be replaced going bad, and having to buy yet another electric corkscrew.